My name is Elizabeth Greenberg and I grew up in Connecticut in a house filled with animals; never less than five at any given time. When I was around five years old I began riding lessons and since then, I’ve found an absolute love and passion for the sport and the horses. 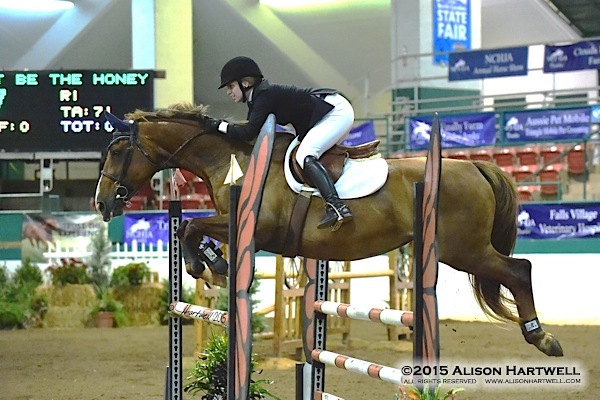 After my junior riding career in the hunter/jumper/equitation world ended and I went off to college, I remained an exercise rider and tune up rider for farms with lesson programs and young horses in need of a more consistent workout schedule. Currently, I teach in a lesson program on Saturdays with students ages 9 – 60 years old at every level with a variety of backgrounds. When teaching, my approach is to blend equitation principals with a strong foundation in flatwork, especially a basic knowledge of lateral work, with the technical aspect of jumping exercises and courses that challenge the rider to think through their entire ride from the first transition to the closing circle. If you have a team and want additional training, have horses in need of additional work or exercise rides, or, if you are in need of a substitute trainer or hunter/jumper/equitation clinic at your farm, please feel free to contact me using the form at the bottom of the page! I hope you’ll enjoy this blog and find it useful for your own riding and training at home. I will try to post frequently about things I learn, and exercises I use, in my everyday training for both my horses and myself. If there’s something you’d like to hear or learn more about, don’t be shy… .just ask! I am located in Simsbury, Connecticut and am happy to travel to your farm for lessons or training rides. Enter your email address to follow my equestrian blog and receive notifications of new posts by email.